I have heard many a senior gent tell he’s here because he’s a master of the traditional stick and rudder skills, in combination with doing things ‘the old way’. However, while there’s no doubt in the aviation universe that stick and rudder skills—along with other traditional skills such as map reading and decoding weather—are vital tools in our skill set, I can’t help but wonder: can the old-school pilots learn as much from the early adopters as the other way round? And is a blend of traditional and modern skills the sharpest tool we can have in our kit? Aviation has undergone a technological revolution over the past 10 years. Flying instructors are at a crossroads, the regulator is playing catch-up and students are embracing new technology sooner than students in the past. Society recognises this transition and divides ‘old’ and ‘young’ by their relationship to technology: those born before the advent of the internet are ‘digital immigrants’, and those born after are ‘digital natives’. With the average age of a general aviation pilot being somewhere in their late forties (see below) most of us fall into the digital immigrant category. Often, the youngest pilots we encounter in general aviation are flying instructors: digital natives teaching digital immigrants often old enough to be their parents. I have been taught by instructors younger than a decent bottle of Scotch in aircraft old enough to be their parents! How we adapt to technology is tied to our attitudes towards change. In aviation, some changes—such as performance-based navigation (PBN), automatic dependent surveillance-broadcast (ADS-B) and internet-based flight-plan submissions—are unavoidable, and merely a symptom of progress. However, there is a myriad of technological options we may choose whether to embrace, and it’s these that are the hotly debated topics of our time. 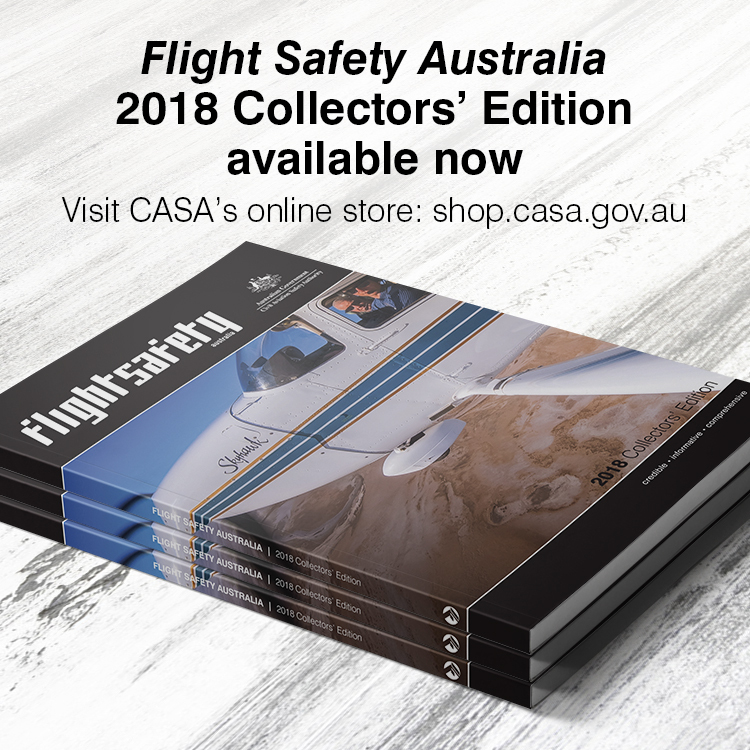 The glass cockpit remains a fiery topic, and much has been discussed on this subject in this publication. For digital natives, the glass cockpit is as instinctive as an iPhone, and the system-management skills required by modern aircraft may be closer to natural talents of this screen-age generation. The ease of absorbing one image on the primary flight display rather than interpreting six dials and waiting for the brain to piece the image together is a natural one for digital natives, for whom the world is largely digital. With time and practice, the glass cockpit becomes equally natural for the digital immigrant, however, for those who began learning on traditional instruments, there is a certain transition involved. In terms of safety, the advantages of making the transition to glass are endless: the more information the aircraft can offer regarding its position, health of engine and situational awareness, the more tools the pilot has. A glass cockpit such as the G1000 will allow a pilot to access their flight plan in profile, provide traffic and terrain alerts, synthetic vision and detailed data regarding cylinder head temperatures, exhaust gas temperatures and electrical systems. Modern aircraft offer the benefits of electronic stall protection (ESP), in-built weight and balance features, and georeferenced charts. In 2011, the introduction of the iPad changed the way we fly. Simultaneously, all around the world, pilots with coding skills designed electronic flight bags (EFB) on the perfect platform—the tablet. Recently, the regulator approved the use of AvPlan and OzRunways as a paper replacement, under CASR 175.295 and EFBs have become the primary flight-planning tool for many pilots. Once again, the improvement in terms of safety is obvious: cockpit management is reduced to one small device, banishing the art of map folding, the finer art of picking up pencils from the floor and the strain of having to carry our body weight in paper. Weather radar overlays, decoded weather, having all the charts at one’s fingertips and permanent access to metars, sigmets and notams improves situational awareness considerably. I couldn’t help but wonder what he was thinking, in this day and age, of flying any considerable distance without some sort of back up. I’m all for honing the skills of dead reckoning but not opting to engage with the myriad of flight tools available today seems only to sell a person’s options short. Understandably, technology needs to be understood before using it—and both EFB providers offer tips and advice on making sure your iPad is charged, up-to-date and bearing adequate storage space—but to fail to embrace it due to fear of change seems utterly remiss. 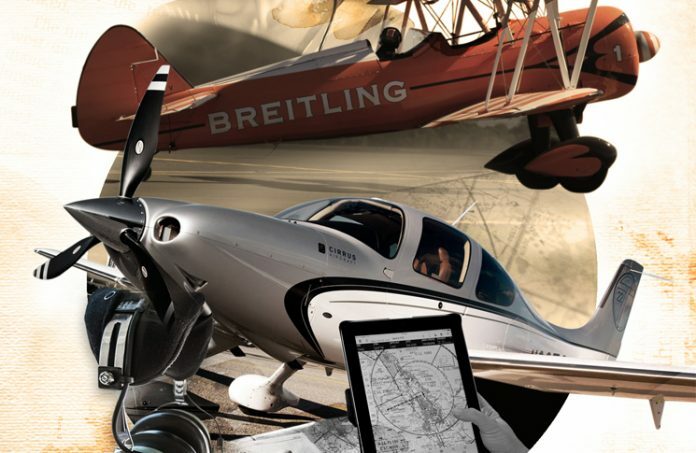 Once more, the last decade or two has seen an absolute revolution in general aviation aircraft types: from traditional wood and fabric, to riveted metal, and onwards to carbon composite aircraft. The industry now offers more choice for purchasers and hirers than ever before. The enhanced safety features in a modern aircraft include roll cages, air bags and in the case of Cirrus, a certified airframe parachute. Modern manufacturers have the advantage of being able to build out the ‘nasties’ that traditionally killed pilots—faster aircraft with less drag means retractable undercarriage speeds can be achieved with fixed gear; modern materials allow stall characteristics to become more and more benign. Regardless of technology, though, aviation is still driven by experience, which comes from confidence, currency, practice and training. From experience comes the ability to trust oneself, to use all the tools in one’s skill set, such as speaking up when uncertain, to trusting one’s gut, as well as one’s skill in regards to the weather and to exercising the grace necessary to display fine airmanship. In the US, the average age of a pilot is 46.8 years (I wager it’s a little higher in Australia), but whichever way you look at it, 46 years is not old (says this 45-year-old author!) The average pilot is middle aged. The beauty of being in the middle of life is that one is able to learn from both those older and observe and embrace change from those younger. A pilot in his early sixties shares his experience of flying both a vintage Stearman and a modern Cirrus. I guess comparing the Stearman to the Cirrus is like comparing the TV shows The Flintstones to The Jetsons. My Boeing Stearman was built in 1942 as a WW2 trainer. It is a true stick and rudder tail wheel aircraft and combined with the fact you can’t see straight ahead on the ground or in the air, it always makes sure you treat it with respect. If there is a downside to owning a Stearman, it would be that you can’t be in a hurry to get anywhere as it cruises at 85 kts and you have to make sure you have an endless supply of oil and rags! I love flying the Stearman as it always teaches me to be a better pilot and keeps me focused on the very basics of flying we all learnt in our training, but don’t always get or take the opportunity to refresh those skills. However, the 2017 Cirrus SR22 is a true 21st-century aircraft. I am very fortunate to have the privilege of flying and demonstrating this aircraft. The Cirrus SR 22 is a fast (170 kt cruise) aircraft with exceptional fuel burn, endurance and payload. The many safety features—from an airframe parachute to stall speed protection, give you a lot of comfort when flying this aircraft. I recently flew the Cirrus from the Sunshine Coast to Melbourne for the Avalon Air show in just under five hours and when I arrived, I felt as refreshed as if I had just been in an air-conditioned luxury car for the same time. Just like the Stearman, I learn something every time I fly it. A pilot in his early 20s shares his experience of flying vintage aircraft. I guess one of the biggest things I’ve learned from more experienced pilots when dealing with older aircraft is the importance of aircraft husbandry. Particularly with the radials it was a case of inspecting everything very closely, as often cowl pins, springs, nuts and screws had a habit of working themselves loose or disappearing. Carefully scrutinising the airframe was important too as damage to fabric surfaces or pinch points also had a habit of appearing. Charging the air tanks, replenishing the oil reservoir and fuelling sometimes could make for a lengthy pre-flight. I found that every pilot seemed to have their own unique way of coaxing them to life, whether that be a particular sequence of priming, turning and then charging the engine. I certainly felt like when I first got involved in warbirds that I was a competent and confident pilot, but the knowledge and lessons I have been given throughout has developed me both in a professional sense but also given me a huge amount of respect for not only the aircraft but also the large network of people that maintain, operate and enjoy them. Excellent article, to be reminded about the vital importance of the discipline of doing all things correctly. I’ve just read your story back in 2015 regarding Nick Wills and his 2 F1 rockets. I went for a fly on Saturday in VH-NBW, it was totally amazing. I loved reading your story and guess what I commented to him on what a great landing it was on Saturday. He told me to make sure I tell everyone! Now I have found someone who can vouch for his landings.